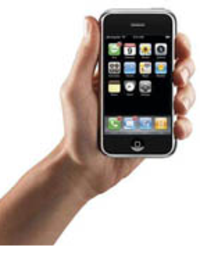 Link: AT&T 8525 Better than iPhone | Kansas Business Attorney. This post isn't about the IPhone, I promise. Oh, well, maybe a little. In a head to head comparison, Dan Covington shows why the IPhone won't do as a lawyer's business machine. 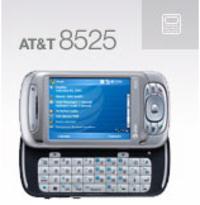 The 8525 will do fine, as will the FutureLawyer's favorite, the Treo 700p. You be the judge, but don't spend money on the IPhone without reading as much as you can. 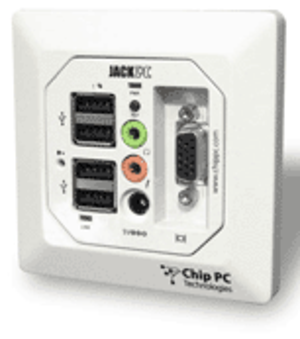 Link: Jack-PC EFI-6700 - thin client supply from Jade Integration. This tiny computer fits in a wall-plug. By UK company, Jade Integration, it runs Windows CE, has basic computer specs, and would be perfect for a thin-client application, such as law firm public areas, and libraries. Just plug it into the wall, add a keyboard, mouse, and screen, and, presto, a web station for browsing, research, email and such. It has 4 USB ports, a mike and sound port, and a VGA port. Under $200 U.S. The priest, a jolly young man with a full face and thick black hair, said he was new in the parish, from South America. He made a humorous, offhand reference to the fact that he was talking to longtime Americans who'd been here for ages. This made the friends and family of Anthony Coppola look at each other and smile. We were Italian, Irish, everything else. Our parents had been the first Americans born here, or our grandparents had. We had all grown up with two things, a burly conviction that we were American and an inner knowledge that we were also something else. I think we experienced this as a plus, a double gift, though I don't remember anyone saying that. When Anthony's mother or her friend, my grandmother, talked about Italy or Ireland, they called it "the old country." Which suggested there was a new one, and that we were new in it. But this young priest, this new immigrant, he looked at us and thought we were from the Mayflower. As far as he was concerned--as far as he could tell--we were old Yankee stock. We were the establishment. As the pitcher in "Bang the Drum Slowly" says, "This handed me a laugh." This is the way it goes in America. You start as the Outsider and wind up the Insider, or at least being viewed as such by the newest Outsiders. We are a nation of still-startling social fluidity. 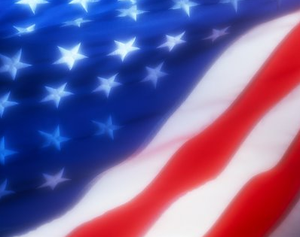 Anyone can become "American," but they have to want to first. Link: Speaking UNIX, Part 11: Ramble around the UNIX file system. Okay, this is pretty geeky, but I reserve the right to be geeky on Saturday. If you are going to try Ubuntu or one of the other Linux distros, and see what you can do with them; (prediction:in the next decade, Unix and Linux will become the leading operating system), then you have to understand the way files are named and stored on Linux boxes. This great IBM tutorial, via Lifehacker, is a start. 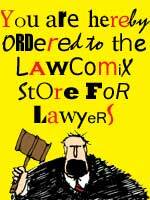 Lawyers are learners, aren't we? So learn, butterfly, and wisdom shall follow. Link: Good news: Verizon stores open today! - Engadget Mobile. 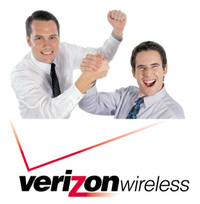 I am so happy to see that my wireless carrier, Verizon, is open today. Given the fact that the IPhone will be sold at AT&T stores, Verizon Wireless is feeling a little left out, I am sure. Verizon had the option of marketing the IPhone, but were unwilling to make the concessions Apple required. Oh, well. In about five years, Verizon Wireless will be able to sell the IPhone. All of which makes it more inscrutable that Verizon Wireless and Palm can't seem to get together on the maintenance release for the Treo 700p. Wazzup with that? Link: Pogue's iPhone FAQ : Christopher Null : Yahoo! Tech. I know, I know. Talking about the IPhone is kind of like talking about Paris Hilton. You are so OVER it. Well, that is good; because I hope you haven't bought one of these by the time you read this. While I am posting on Friday morning, a few hours before the 6 P.M. launch, there are so many negatives about this thing that I am wondering what all the fuss is about. Waiting in line at Christmas for a Nintendo Wii was one thing; the Wii really is an innovative, life changing device, that is bringing families together for fun. The IPhone, however, is only fast when connected to WiFi, and is slow as heck on the cell phone network of AT&T. You have to sign up for two years of service, and STILL pay retail for the phone. You can't use the on screen keyboard with a stylus. Bare fingers only, please. And, then, you can't use your thumbs, unless you are 12. I could go on, but read the post by Christopher Guy. Not giving him a review phone was probably smart. He would have told the truth about this turkey. Sometimes the Suits Are Right! 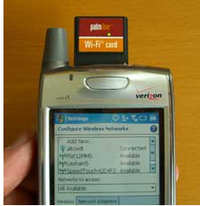 Link: Palm WiFi Technical Team "Decimated" - Treo and PalmOS news. Palm has never been a real fan of WiFi on smartphones. Frankly, the only Treo I have ever had that would do WiFi is the 700w running Windows, and it required an add-on SD card that sticks out of the Treo like a sore thumb. In fact, the suits are right; what with EvDO networks, and such, smartphones don't really need to have WiFi enabled. They are plenty fast; unless, of course, you are on AT&T like the new IPhone. Slow doesn't begin to describe AT&T. I kept the 700w and WiFi card, since it works fine when it connects to WiFi and my Slingbox at home. I can use it to watch my SlingBox anywhere a WiFi network exists, without paying steep cell phone bills. Uh, oh. Now, I am not only a geek without an IPhone, I have TWO Treos running. Oh, well. Link: Before you switch to the iPhone | Crave : The gadget blog. Well, today is the day that thousands of people lose their minds, and succumb to marketing hype, buying, sight unseen, an expensive cell phone that may, or may not, rock their world. So, what else is new in modern America, where hype equals money? Nothing. But, since FutureLawyer readers do not suffer fools gladly, here is a great article on the pros and cons of the IPhone, each of which should be considered before you task your in-laws to go stand in line at the Apple or AT&T store. SimulScribe - The Sound of Silence! Link: SimulScribe - Products. As regular readers know, I have been testing, and loving, the Simulscribe service for a month now. 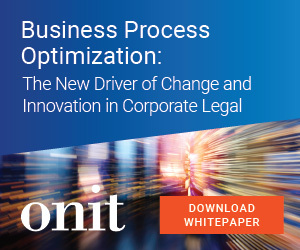 This service is one of those computer tools that really changes the way you live your computer and business life. I no longer have to wade through tons of voice messages to get to the point. Reading transcriptions of voice messages on my Treo has been a true time saver. If the transcription misses some words, like proper names, I can always listen to the message later. But, the biggest unintended benefit I have found is the effect that the company's message to the caller has. Simulscribe notifies callers to speak clearly because their message is being transcribed. I have fewer sales calls now, and fewer annoyance calls. Apparently, people are a little more careful what message they leave when they are reminded that it is being written down. Link: New robot simulates human senses | Gadgetell. I have long wished for robotics to reach the point where they can take over some of the dirty, mundane tasks of my life. You know, brush the pool, clean the deck, organize the office, yell at the kids, attend a hearing in a case where I'm not getting paid, etc. Now that the Japanese are getting them to simulate human senses, it appears that human acting robots may appear before I die. But, do the Japanese have to make everything look like a refugee from a horror movie? Give the thing a face, already!